Photoelectric sensor, rectangular, plastic housing, through-beam emitter, infrared light emission, 6m sensing distance, 10-36 VDC, 3-wire, pigtail. 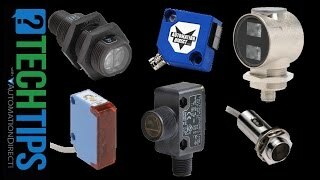 All 18mm metal through beam photoelectric sensors have normally open outputs. An emitter and receiver pair must be ordered for a complete sensor. Customers who bought a CXE-0N-1A also purchased the following items.